With the economy the way it is, forget about any hedges against inflation. Anyway, I’m more concerned about hedges against poor harvests, and that hedge is to grow a diversity fruits and vegetables. I’ve never had a year of poor harvests of everything. Cabbage and broccoli will revel in a cool summer during which peppers or melons hardly ripen. Bean beetles that might ravage green beans won’t touch tomatoes, okra, and other vegetables; they won’t even nibble soybeans. 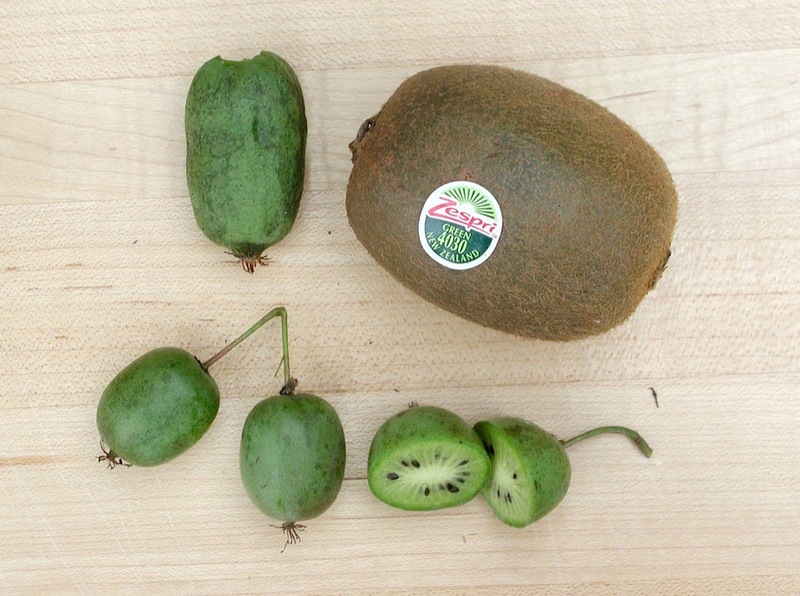 One thing I like about my kiwis, besides great flavor, is thatthey don’t have those obnoxious plastictags on them. Besides offering a hedge, that diversity also usually presents me with a spectrum of flavors and nutrition. 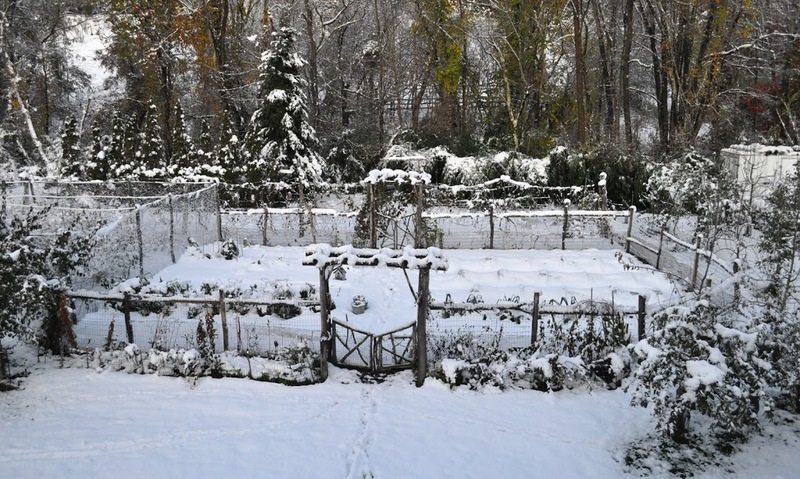 Winter seemed to have begun all of a sudden on October 29th when, after weeks of balmy autumn weather, large flakes poured out of the sky to bury lush green lettuces, leeks, Chinese and Occidental cabbages, and radishes beneath a heavy, white blanket. The next night, temperatures plummeted to below 20°F. It’s a quirk, but it’s benign: When a pretty or useful tree presents seed-laden branches to me, I start conjuring up visions of whole new trees. Whole new trees that I can grow. What amazing potential is contained in such small packages! I was presented with some of these packages on a recent hike. The date was about three weeks ago, before fall color had peaked — except for that of black tupelo (Nyssa sylvatica), also known as black gum or sour gum. This native of eastern U.S. is often planted as an ornamental for its early and striking color. The fluorescent purple, red, and yellow leaves are the first harbingers of autumn color. Lance the Plumber is also quite a good gardener; I’ve seen his garden. So I had some faith in his recipe for growing sweet potatoes: Make a circle of fencing a couple of feet across, fill it with soil, and plant. The raised cylinder of soil, being warmer than soil at ground level, would be much to the plants’ liking. 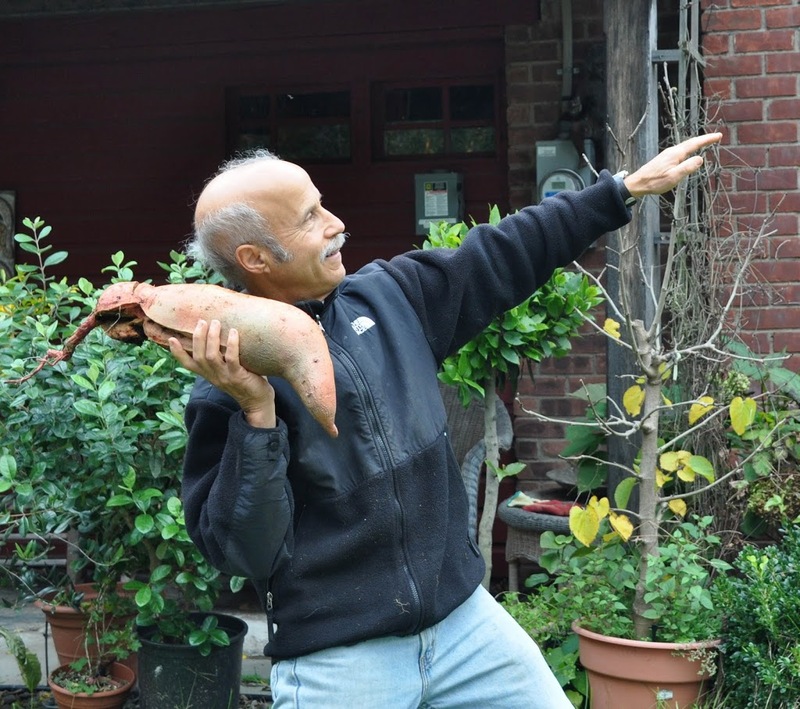 I eat a lot of sweet potatoes but have never grown them because summer weather here in the Hudson Valley isn’t quite warm enough for best yields and because the trailing vines take up a lot of space. Still, Lance’s method seemed worth a try — with some “leafy” modifications.